Children under the age of 18 should not take the anti-depressant drug Efexor, government experts have said. The drug is not licensed for use in under 18s. 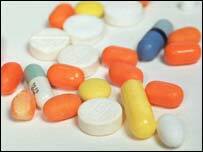 However, doctors are prescribing it to an estimated 3,000 youngsters across the UK. But experts have now ruled that there is not enough evidence to show it is safe or effective for this age group. They said young people on the drug should not stop taking it but should discuss their options with their GP. The Department of Health set up an expert working group to look at the safety of certain antidepressants earlier this year. It followed claims from patient groups that some of these drugs have serious side-effects and are addictive. In June, the group issued a statement saying that children under the age of 18 should not be given Seroxat. Its experts said the risks outweighed the potential benefits and that it was not effective at treating depression in under 18s. The same advice has now been issued regarding venlafaxine or Efexor. The group said that under 18s on this drug were at an increased risk of become hostile or thinking about committing suicide or self harm. They were also more likely to suffer side effects like abdominal pain, loss of appetite and weight loss. The advice follows clinical trials of the drug in children. Professor Gordon Duff of the Committee of Safety of Medicines said it was important doctors and young people were aware of the risks. "Efexor is already contraindicated in those under 18 but we know it is used in this age group outside its licensed indications where prescribers make a judgement on their own responsibility that it is the right treatment for a particular patient. "It is therefore important that doctors, patients and parents are aware of the safety information. Young people under 18 currently taking Efexor should consult their doctor for advice". Professor Ian Weller, chairman of the expert group, said it will examine whether there are similar risks with other anti-depressants. "The expert group will be examining urgently what implications, if any, these new findings have for other antidepressants. "Patients who are experiencing any side effects or are concerned about their treatment should discuss these with their doctor."